The Deeperfect imprint began more than a decade ago when Italian tech-house and techno legend Stefano Noferini created the label to share his passion with the world. The aim was to provide a platform for emerging artists, with a dedication for producing quality and innovative sounds. Stefano wanted to tear down the barrier between artists and labels, and as a result Deeperfect has become internationally renowned for showcasing the hottest new talent in the scene. During the last ten years there has been a string of chart topping releases from artists such as UMEK, Uto Karem, Mendo, DJ Chus, Pig & Dan, Nicole Moudaber, Cristian Varela, Metodi Hristov, Leonardo Gonnelli, Roberto Capuano, Paul Darey, Marco Nastic, Miguel Bastida, Rafa Barrios, Danniel Selfmade, Natch! & Dothen, Mihalis Safras, Filterheadz, Spartaque and of course Stefano Noferini. The label has been a consistent source of underground hits throughout the years. Recently Deeperfect has topped the charts with the February 2016 smash “Oh Baby Dance” from Bast Grab and Natch & Dothen, which topped all charts on Beatport and was one of the Top 10 Shazamed Track in Ibiza Summer 2016. This was quickly followed up with a succession of stand out tracks on the label including Stefano Noferini and Larsen Factory’s energetic “Push It”, Natch & Dothen’s smash follow up “Supaman”, Leon and Simone Liberali’s funky hit “Can’t You See” and Leonardo Gonnelli’s rave tinged bomb “She Likes It”, all of which were Top 10 chart hits on Beatport. Deeperfect are also very proud of the support their music garners from the scene’s top DJ’s. Fans and regular supporters of the label include Marco Carola, Carl Cox, Nic Fanciulli, Yousef, Pan-Pot, Steve Lawler, Jay Lumen, Joris Voorn, Technasia, Mathias Tanzman, Richie Hawtin, Joseph Capriati, The Martinez Brothers, Karotte, Monika Kruse and many, many more. 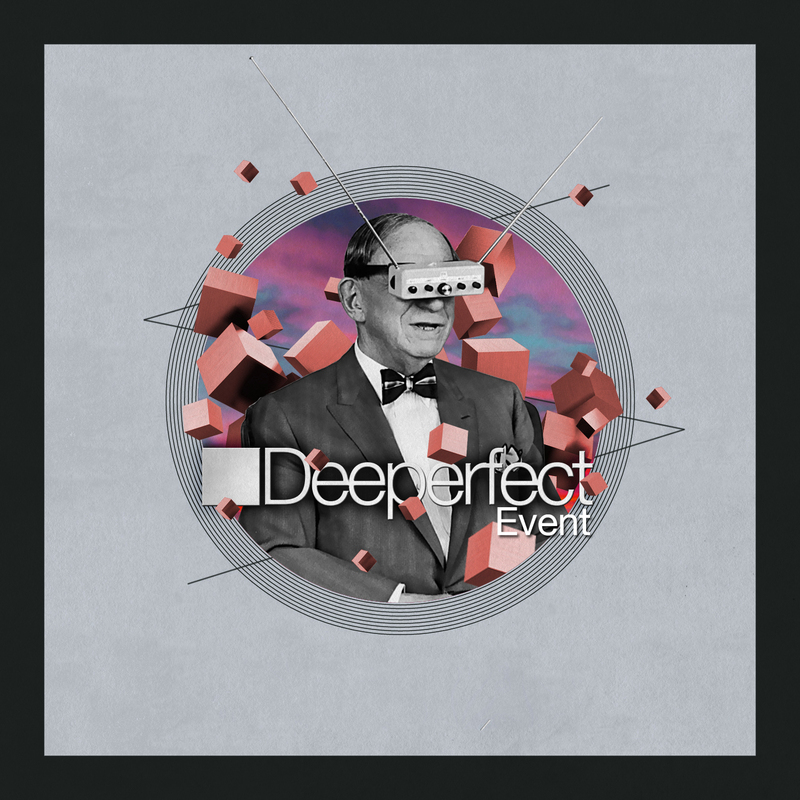 In early 2013 the Deeperfect brand branched into events in order to showcase the label’s talent in a live arena. Beginning in Stefano’s home town, Florence (Italy) the label boss teamed up with techno and tech house legend UMEK, to bring a very special night to The Box in the Tuscan capital. Since this memorable launch Deperfect has been regularly hosting label showcases across the globe. A milestone for the label came, in October 2014 when Deeperfect held their first festival arena, a collaboration with Barcelona based, FACT Worldwide, at the debut of Dockyard Festival in Amsterdam for ADE 2014. The festival sold out more than a week in advance and was hailed a huge success. Since then Deeperfect have embarked on countless tours across the globe, taking the brand to the world’s most diverse and underground clubs including Arena in Berlin, Flex in Vienna, New Guass in Spain, VR33 in Italy, Privilege in Ibiza and Cacao Beach in Bulgaria. On top of this, their parties have become mainstay at all of the important industry events. From Off Week Barcelona to ADE Amsterdam, Miami Music Week and the infamous BPM Festival in Playa del Carmon, the Deeperfect team are known to deliver highly anticipated and stand out events. From pool parties to subway raves, Deeperfect have presented a whole host of iconic artists at some of the world’s most iconic venues and events. This arm of the label is all set to continue to grow in the future!